Going deep enough in Autumn/Winter 2016 season. It's mid-autumn time o'clock. And it's quite logical all our bright, popping lipsticks are about to be replaced with darker, deeper shades. Autumn/Winter season is all about those decadent, dramatic vibes. And this one is not an exception. Especially if we look at runway beauty trends, read lipstick color trends, of Zac Posen, Marni, Louis Vuitton, Marc Jacobs, Dior and even Max Mara. We see these deep shades of purple and bordeaux that stand close enough to black color in quite an abundance here. 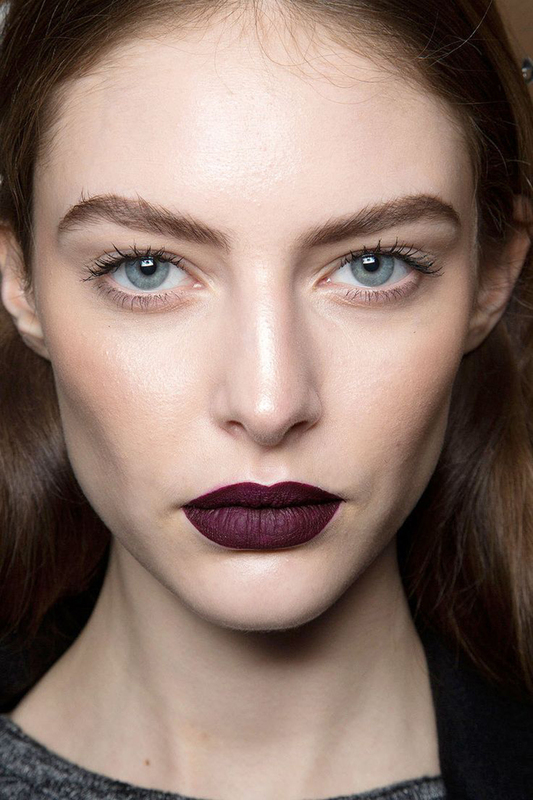 To enhance the effect of super dark lips simply skip adding any other accents with your make-up. So if you are all ready to get that drama (or gothic) queen look, then go check PQAP's selection of 50 best 'almost black' lipsticks.